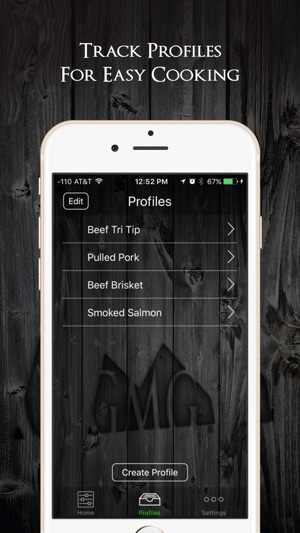 Bring your Green Mountain Grill into the 21st century with our grill management app. This app utilizes WiFi technology and has a range of up to 40 meters in point to point mode. 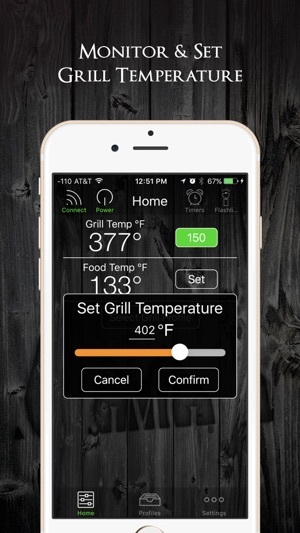 You also have the ability to connect your grill to your home network in WiFi Mode and to our cloud based system in server mode. 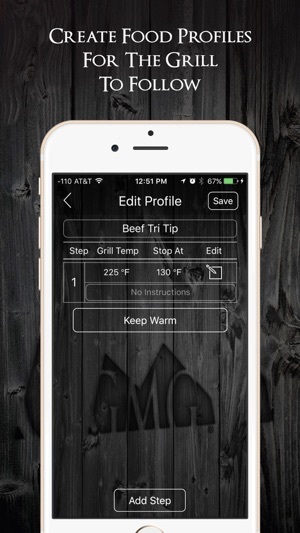 You can create grill profiles, monitor meat temps, set timers and alarms, and adjust grill temps from inside your home or anywhere. We have recently added calibration tools to calibrate both air temperature and probe temperatures. Stay tuned for updates and additional features on future releases. The first ever internet connected BBQ is here! We have officially launched Server Mode for the WiFi enabled line of Green Mountain Grills. Connect your Davy Crockett, Daniel Boone and/or Jim Bowie pellet grill to our servers to control/monitor your grill from a cellular network. Your firmware must be at least 6.0+ in order to use server mode. Please contact app support if you have any connection or configuration issues with your local WiFi. Fix server mode for primes. I have been using this for a while now and, when home, works fine. None of the support suggestions work. Still disconnected on server mode when gone from home. WORSE YET, it does not background refresh. 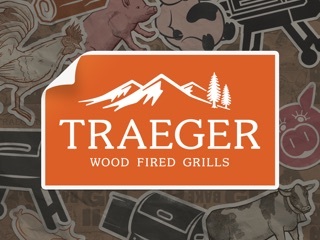 Only when I actually OPEN the app does it tell me that I have "reached target temp". This could take forever, really forever, if I don't actually open the app. Please fix. All permissions open for this app. It's a bug. My controller card on my Davy Crockett went bad, the replacement has the WiFi. I did not buy mine with it 3 years ago as the WiFi was just coming out and I thought I'd never use it. P-to-p worked right off but had issues with the home network. I work from home and my network is extremely locked down. I log a lot of attacks at the modem level and the firewall/router level. My problem was I forgot I used upper and lowercase character in my wireless network names. The GMG app needed it to match exactly and I wasn't putting it in correctly. Have not gotten the server mode to work yet, I need to punch a hole in the firewall to let it go out. Not sure what port they use but will do it if I really need it. Works great camping, beach, parks on the p-to-p. I like the app design and functions. My complaint is, if I forget that I can’t change the temp in the middle of running a profile, it clears out the profile that I was running. And after that happens, I can’t continue the profile where I left off, so I have to edit the profile to fit my immediate needs, then remember to change it back after I’m done. I suggest a change where I can touch a step, and the screen expands to show the full “notes” and I am also given the option to “begin profile from this step” or something like that. Or maybe a “temporary profile edit” that doesn’t save in the profile itself.